Department of Agriculture, Himachal Pradesh Recruitment Notification 2018.Department of Agriculture, Himachal Pradesh inviting applications for the positions of Drivers.Interested and Eligible candidates can apply for the positions. Candidates those who completed 8th standard can apply for the driver post and they must possess valid license to drive heavy and light vehicles. Mode of applying for HP Agriculture Department recruitment through offline mode. 22nd September 2018 is the last date to apply for Non-tribal areas and 29th September 2018 is the last date for tribal areas. http://www.hpagriculture.com/ is the link for applicants to download and send to below given address. 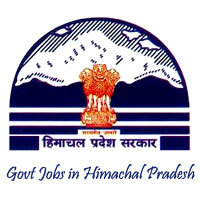 Department of Agriculture, Himachal Pradesh.